ASAR (Array Synthetic Aperture Radar), a very challenging and successful research project aimed at the development of an advanced terrestrial synthetic aperture radar, has been officially concluded today (6th of December, 2016) during a closing ceremony with the participation of all project partners. With a duration of almost 3 years and an overall cost of over 900'000 CHF, it is certainly one of the largest R&D projects in which MEET has ever been involved. The revolutionary radar prototype has been developed in a consortium including - along MEET - the University of Applied Sciences of Southern Switzerland (SUPSI) and a group of Swiss companies active in the field of geological surveying and sensing. Due to its innovative content, the project has been sponsored by the Swiss Federal Commission for Technology and Innovation (CTI). A first series of field tests carried out in Ticino's alpine regions to monitor landslides and road bridges has revealed the potential and accuracy of the system. The prototype is now being engineered towards a rugged commercial product. MEET will be the main supplier of the electronic radar components and signal processing subassemblies. On the 1st of June, 2016, in presence of half a dozen heads of state and government, the Gotthard Base Tunnel (GBT) is officially opened. More than 2000 individuals from the army, police, federal government, Swiss Federal Railways, AlpTransit Gotthard (ATG) and private companies are in action during the festivities, to greet a public of thousands of passionate visitors and journalists from over 20 nations. The Gotthard Base Tunnel consists of two 57-kilometers-long single-track tubes. Including all cross-passages, access tunnels and shafts, the total length of the tunnel system is over 152 km. It links the north portal at Erstfeld with the south portal at Bodio. With a rock overburden of up to 2300 meters, the Gotthard Base Tunnel is not only the world's longest, but also the world's deepest, railway tunnel constructed to date. MEET Ltd congratulates all the parties that have been involved in this great accomplishment. MEET proudly provided its small but nevertheless important contribution to the success of this undertaking, by equipping various concrete production plants involved in the tunnel construction with its Wavetester™ contactless moisture sensors and therefore ensuring an optimal product quality and reliability. Click here to download the interview to the Managing Director of MEET Ltd, which appeared on the Corriere del Ticino newspaper's special supplement of the 30th of May, 2016, in occasion of the opening ceremony (pdf, 1.8 MB, in italian). 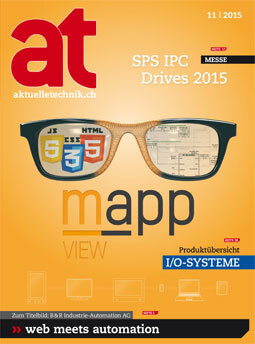 Click here to download the article (pdf, 200 kB, in german). SUPSI, the University of Applied Sciences of Southern Switzerland, is featuring the two-day "Food for Brain" Event at the Expo 2015's Swiss Pavillon. Here, researchers and industrial partners are displaying successful research projects around the theme of food quality and food production. Due to its long-standing partnership with SUPSI and the reliable presence of its technology in the food industry, MEET Ltd is also part of this event. Today, MEET begins shipping an enhanced version of its successful USBKey device. 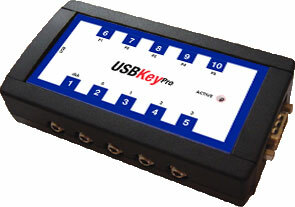 Called USBKey Pro, the new product extends the original USBKey with wireless capabilities. All the existing features and the mechanical dimensions are maintained, but in addition to handling wired input signals (typically connected to electromechanical switches) it can now also respond to wireless signals transmitted by compatible RadioButtons and RadioSensors, also available from MEET. The total number of inputs that can be translated to any keyboard, mouse or phantom command is therefore extended from originally 10 to 48 (10 wired + 38 wireless).